This powerful extension allows you to sell your time or date based bookings, adding a new product type to your WooCommerce site. Perfect for those wanting to offer appointments, services or rentals. 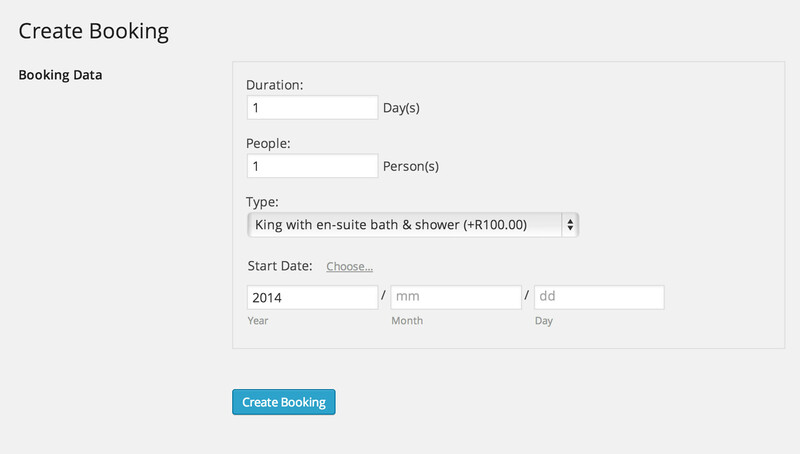 Optionally create fixed time slots when bookings are available, or let your customers decide. Added support for free Accommodation Bookings Add-on, making it possible to create and manage overnight bookings for accommodations. Add check-in/check-out times, set special rates for weekends or holidays, and more. Added time ranges for custom dates. 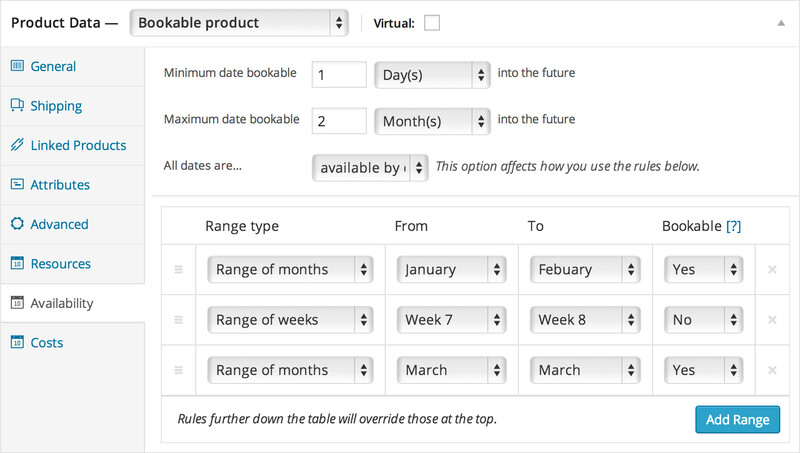 You can now set availability and cost rules for hours on specific dates.